Welcome to La Collina di Pienza! Before our introductions, we would like to thank you for taking time to visit tour website. If you are lovers of genuine Italian produce and hospitality and want to leave behind the routine of everyday life, we are pleased to say that you have come to the right place. 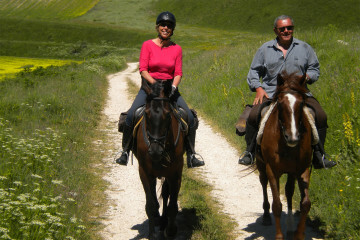 My name is Francesco Rinaldi and, together with my wife, Cristina, for 40 years we have worked together in Agriculture, hospitality and catering. Half of our lives have been spent happily between Tuscany and Umbria which we have chosen to share, with you; two beautiful regions that we love and cherish. La Collina is a family-run establishment. Our staff have been rigorously selected for their professionality and competence and are all from the local area. The hotel’s spirit lies in the ideals for which we stand: quality. From the restaurant to the lounge, the rooms to the gardens, we believe in keeping with the traditions and high standards. Nothing is left to chance: The Arte Povera and wrought iron furniture, typical of the Tuscan region, gives our clients a feeling of “times gone by”, a chance to relax and let go of stress and tension. 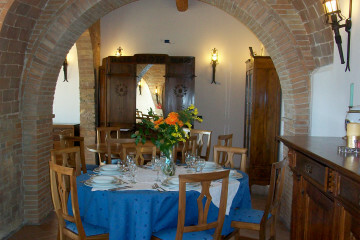 La Collina is situated a few hundred meters away from Pienza with a beautiful view over the splendid town. Our garden is the perfect get-away for an afternoon siesta during the summer months, to rest and gaze over the Borgo, the “ideal City” created by Pope Pio II Pioccolomini and built by the genius Architect Rossellino, declared an UNESCO patrimony in 1996. During the summer our guests are welcome to use our unique bio-pool, a tiny eco-system in it’s own right: Water from the main pool circulates and filters into the smaller pool filled with water Iris and Lotus flowers that purify the water that circulates back into the larger “swimming” area. Purified and all natural. We are lovers of the simple things in life, the serenity of the small things that we want to share with all of our friends who stay with us.